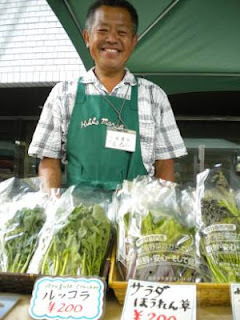 Kosaka Farm at the Roppongi Market in June! A short list of markets this weekend, but don't let that put you off in the slightest. Hit the markets before the rainy season begins in earnest and be sure to pack an umbrella in case it decides to pour while you're there. Gather up some of the last of the spring vegetables and sample some of the first tastes of summer, too!